I love backpacking in the Philippines — out of the 60+ countries I’ve been, it’s still one of my favorites! It has some of the best beaches and islands of the region and with over 7000 islands it’s an island-hopping paradise. But most of all, I love the Philippines for its unique cultural mix. It’s simply very different from what you’ll find on mainland Southeast Asia. This comes in part from its many ethnic groups but also due to foreign influence, as the Philippines was once a Spanish colony and briefly a US one. The main religion on most islands is Catholic, and you can find traces of Hispanic influence in many place names or on restaurant menus. Contrasting to this is the Filipino’s love for American sports and pop culture, which you’ll quickly notice if you listen to any radio or pass by any karaoke booth. Superb snorkeling, scuba diving, and surfing spots are scattered all across the archipelago. Beyond the beaches and reefs, you’ll find lush jungles, stunning volcanoes, and tropical pine forests in Northern Luzon that are perfect for hiking and caving adventures. Backpacking the Philippines is simply incredible, though with so many places to choose from, it can be difficult to decide where to start! So let us help you out with several recommendations and travel tips for getting the most out of your Philippines trip. Some countries make it super easy to create a route touching all of the major highlights, but the Philippines is not necessarily one of them. You see, it’s all about the geography. Take a country like Vietnam for instance: its long shape means you pretty much just have to draw a line between the north and south as it’s the only way to travel. But the Philippines has over 7000 different islands, making it quite geographically dispersed. Planning your route can thus be a bit more of a puzzle, but that makes deciding where to go also quite a bit more fun. There are ferries between many of the islands, but this is slower than overland travel, and in some cases, the best practical option is to fly between distant islands. It might make sense to focus on particular regions of the Philippines, or else you could just end up pin-balling all around the archipelago (and having to take a few too many flights or ferries). I’ll share three popular itineraries with you here, each of which can make a great 1-to-2-week holiday. But if you’ve got plenty of time to spare then you can easily chain these together to create one big route — or add in some of the other individual locations mentioned at the end. Palawan in the western Philippines is an archipelago of its own with some 1,780 islands and islets. It’s a long but narrow strip of some of the best beaches and marine life you will see in Southeast Asia. From Manila, it’s approximately an hour plane ride to the capital Puerto Princesa. The city is relatively urbanized compared to the rest of the province, but you’ll meet a lot of foreigners here who now call Palawan their home. For many though, Puerto Princesa is only a gateway to the province’s more majestic features. Top on the list is El Nido, which is located four hours north by bus or van. This town nestled among tall karst cliffs is a very popular departure point for island-hopping tours… so much so that the number of tourists exploded in recent years. But if you steer clear of El Nido during summer (March to May), you can enjoy the islands in relative quiet. From El Nido it is a 4 to 8-hour ferry ride to Coron, which has more lagoons and uninhabited islands, as well as some spectacular snorkelling and scuba diving sites. I think Palawan is great for first-timers, as it packs a lot of stuff into a tight route. 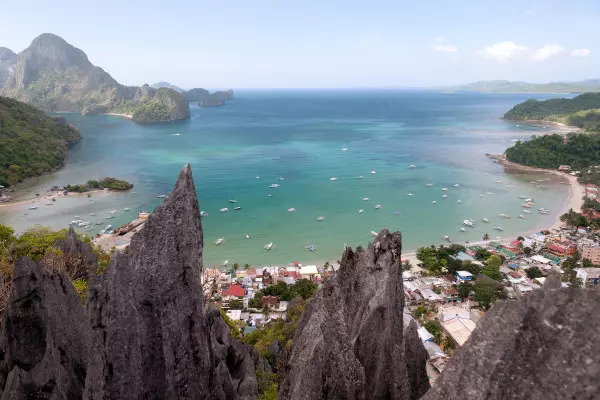 It’s also rapidly becoming the most popular backpacking route in the Philippines, so you shouldn’t expect to be alone — in particular in El Nido. The region is well-known for its exceptionally Instagrammy beaches and lagoons, though other parts of the Philippines might be a bit more interesting from a cultural perspective. The Visayas (see below) is another great region to consider for a beaches-and-nature focused trip. Read more tips for Palawan in our dedicated guide. The Philippines is not just about beaches! 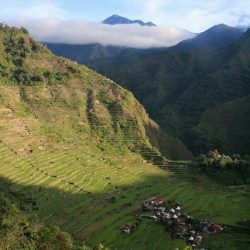 Up in Northern Luzon is a mountainous area called the Cordillera Region. Here, it’s greenery as far as you can see. It’s the perfect region to go if you’re looking for mountains and nature, but it’s also interesting from a cultural point of view. If you don’t know yet, the Philippines was colonized by Spain for over 300 years and was also invaded by Japan and America immediately after. Yet, because of the Cordillera’s mountainous geography, invaders found it difficult to break its defences. Outside influences like religion didn’t make it here until the 1970s, a time when the country was already enjoying decades of independence. The culture in the Cordillera stands out in their clothes, rituals, and daily life. 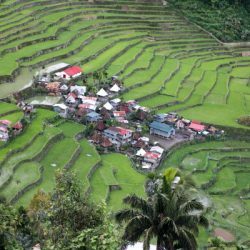 The impressive rice terraces at Banaue and especially at Batad are a major highlight in Northern Luzon. The small town of Sagada also makes for an excellent base for trekking and caving tours. Get more tips from our Luzon itinerary. The Visayas is the second largest island group in the Philippines. 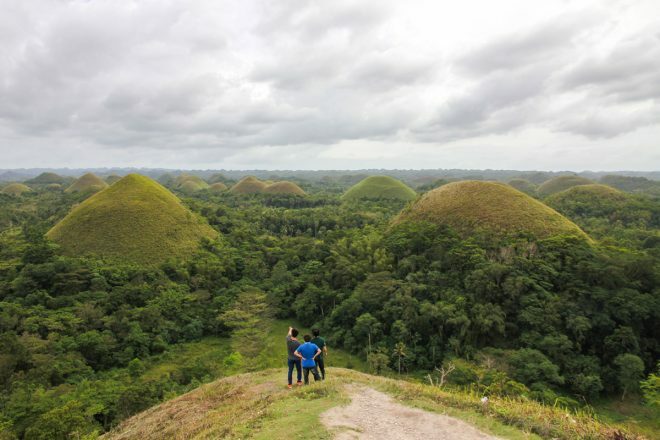 For Filipinos, Cebu and Bohol were the must-visit destinations way before Sagada and Palawan became famous. Dumaguete and Siquijor have also been rising in popularity in recent years. Cebu is the second largest city in the Philippines and with its large airport, it’s easy to reach. There are even some international flights going straight to Cebu without needing to transfer in Manila. From Cebu, you can go in many different directions and island-hop to your heart’s content. While the Visayas might lack those big karst cliffs and lagoons that really put Palawan on the map, the islands are nonetheless extremely scenic and home to many gorgeous beaches and waterfalls. I recommend exploring these parts if you want to avoid the usual Palawan backpacker trail and get a true taste of the central Philippines. Whereas Palawan has you traveling in one set direction, the Visayas invites you to explore its different islands in any order you like. If you’re a scuba diver like me, you’ll adore the Visayas. Don’t miss Malapascua Island, possibly the world’s only place where you can reliably meet the majestic thresher sharks. Apo Island, towards the very south of the Visayas, is another must-dive location. The same goes for Moalboal, famed for its epic sardine run. Unlike the ones in South Africa, in Moalboal it can be experienced year-round. The aforementioned itineraries combine highlights that are more or less clustered together. But there are several other popular spots, which are slightly disconnected from the rest, that are worth mentioning. Siargao is a tranquil surf town in the southern Philippines. For the longest time, its charm was in its being unknown and unspoiled. It’s a very hip town but parties are often low-key and happen only at one bar per night. For non-surfers, just experiencing the Siargao vibe is already a treat in itself. But there are also other activities like island-hopping, cliff-diving, food-tripping, and the opportunity to meet a diverse group of people united by their love for surfing. Many backpackers end up staying longer than planned. Siargao is, as they say, one of those places you can “get stuck”. Though new direct flights from Manila have recently opened in 2018 making it more accessible, which could mean that it will change. 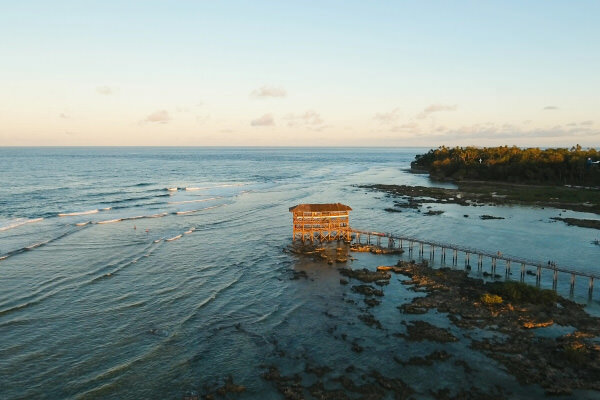 The flight is still a bit expensive for local tourists which keeps the crowds at bay, but cheaper airfares to Siargao may lead to it getting much busier in the future. 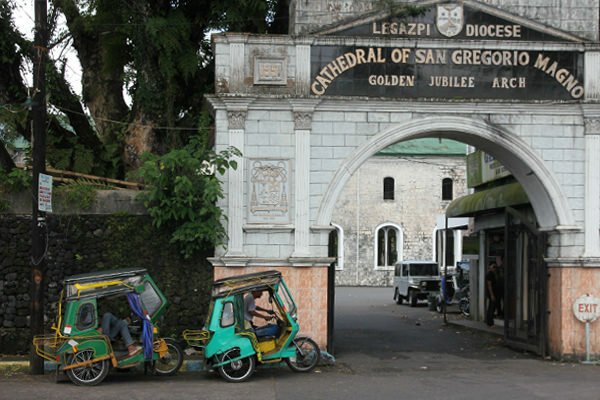 Bicol is a known tourist destination for Filipinos, though it’s less known among foreign tourists. 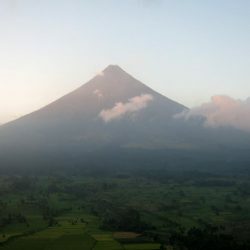 It’s worth basing yourself in Legazpi, Albay from where you can do sightseeing in the area. 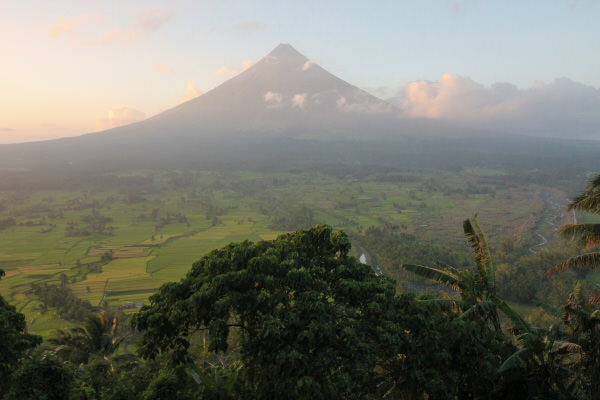 Different spots let you enjoy great views of Mt Mayon, a volcano famed for having a perfectly symmetrical cone. It was spewing ash plumes for some time in 2018, which made it unsafe for hiking activities, but it seems to have stopped rumbling again now. It’s a scenic 2-day trek to the peak and back. You can also view it from afar by the Cagsawa Ruins, remnants of a church destroyed by one of its many eruptions. There’s also an option to rent an ATV and explore the unspoiled lands around Mayon. There’s just one backpacker hostel in town – the Mayon Backpackers Hostel – which has a fun family-like atmosphere and that I loved staying at. Less than two hours to the west of Legazpi is Donsol, a former sleepy fishing town now famous for whale shark watching. You can also take firefly watching boat tours here at night, which are pretty magical – you’ll see some trees along the river covered in thousands of them, all pulsating in unison. Meanwhile, a six-hour land and sea travel up north will bring you to the Caramoan islands, popular as the filming location of Survivor in 2012. Its popularity has died down in the past few years, which means you won’t have to compete for space while exploring its many white sand beaches and lagoons. You’ll love your evenings here – listening to the sound of crickets while looking up to thousands of stars above. Camiguin is a small volcanic island in the Southern Philippines. You can enjoy hiking its volcanoes (it has seven! ), and its many waterfalls and hot springs. There aren’t a lot of white sand beaches on the island although the iconic sandbar just two kilometres from the mainland is absolutely stunning. If you’re into flying, you might want to see all these from above in a propeller plane – while twisting and turning in an aerobatic flight. This is a bit expensive but totally worth it! It’s kind of crazy how many great places there are to explore in the Philippines. This page merely gives you some of the better-known hotspots, but there is so much more to see. I feel like the Philippines is one destination that won’t run out of unspoiled places any time soon. If you want to be a trailblazer and do something different, I recommend checking out the many Filipino travel blogs out there. There’s a big scene of locals writing about their own country in English, which lets you easily unlock a wealth of information on all of the different provinces. For international flights, the most common entry point is the capital Manila. Its main airport receives most of the long-distance flights, while shorter haul budget carriers like AirAsia usually favour Clark Airport near Angeles, which is about 80km north of Manila. Some international flights also go directly to Cebu City, another major city that’s located more centrally in the Philippines. The Philippines is not always as well-connected with direct flights as some other countries in the region. 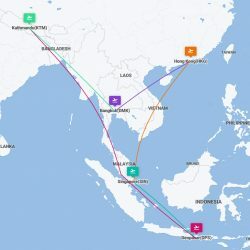 You might find that the best way to get there is via another hub, like Singapore or Kuala Lumpur. When you arrive, expect the big cities to be congested and stressful. They might not give the best first impression. You honestly might not want to waste too much time in Manila or Cebu as the best aspects of this country are the smaller towns and laid-back islands. Buses are the best way to get around on the islands, such as the largest island of Luzon where Manila is located. But to see a variety of places, you’ll inevitably have to cross some water. As far as ferries go, the short ones are worth it: for instance, when you’re briefly crossing a bay or strait to get to another island. But if you’re imagining covering long distances by boat, this is not so convenient or worthwhile. 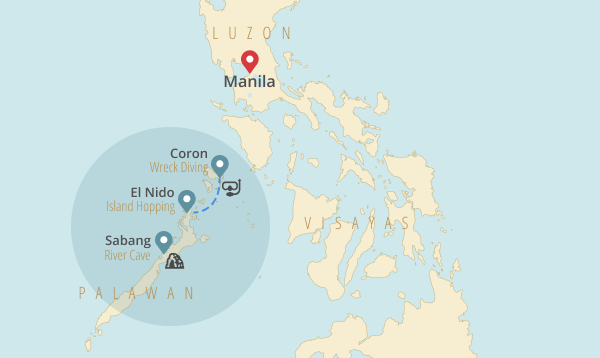 Forget about taking a boat from Manila to Palawan for example; there’s a boat connection but it only goes once a week and takes a good 28 hours to get there. One exception to the rule might be the boat from El Nido to Busuanga Island (Coron). There are some faster boats operating there now, and it’s a particularly nice journey and is a bit of an attraction in itself. Because everything is quite spread apart in the Philippines you’ll probably end up taking an internal flight or two if you want to see a lot. Fortunately, local carriers offer cheap flights: check out Cebu Airlines, Tiger Air or AirAsia. To get around town, be sure to take a Jeepney. These colorful converted jeeps serve as local hop-on-hop-off buses following set routes. Simply jump on board by entering through the back, then pass the money to the driver in front. Since all passengers share the same seating area you might end up having some chit-chat with the locals. Some Jeepneys even require some passengers to sit on the roof, which can be a slightly unnerving but amazing place from which to survey the landscapes around you (especially on the windy mountain roads in northern Luzo!). Enjoying your trip is as much about where you’re staying as where you’re going. The Philippines has some great accommodation; a tinge more expensive than in mainland Southeast Asia (e.g. Thailand, Vietnam), but often good quality. If you like to stay in hotels or guesthouses, you can find some great options on sites like Booking or Agoda. As far as backpacker hostels go, check out the recommendations below (for some of the popular starting points and destinations in the Philippines), or browse all hostels at Hostelworld. A relaxing refuge from the busy streets of Manila, with rooftop bar and swimming pool. Modern newly built hostel with lots of amenities. Dorm beds and some private rooms. Some ways south of Cebu, on its own beach away from touristy areas. Dorms and private beach cottages. The top rated backpacker hangout in Palawan’s island hopping hub. Located on the more secluded southern beach with spectacular sunset views from its two decks. Boracay may be a resort island, but this hostel brings low prices and good vibes. You’ll run into plenty of other travelers in places like Manila, Palawan, Banaue, Siargao, and Boracay… but elsewhere, you might bump into much fewer Western travelers. In some places there aren’t many backpackers at all, only scuba divers or surfers. Fortunately, contact with locals is easy as at least 60% of the population speaks English. Filipinos are known to be incredibly welcoming and friendly, and you’ll probably end up meeting many locals or domestic travelers. Elsewhere in Southeast Asia, it can be hard to make true local connections due to the language barriers, but this is a lot easier in the Philippines. Manila is a busy, congested and chaotic city. Sometimes such chaos can be interesting, such as in Ho Chi Minh City in Vietnam where seeing seemingly infinite shoals of honking scooters flowing through the streets can be a real thrill. But in Manila, you just end up stuck in traffic a lot and frequently feeling quite frustrated. Some of the neighborhoods have a bad safety reputation, and I think the historical sights around Intramuros are only of mild interest. This is not saying that you can’t have a nice time in Manila, but the city can be more stressful than expected and doesn’t make the best first impression on everyone. 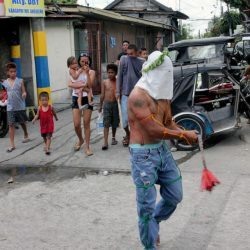 The second biggest city, Cebu, is less hectic than Manila, but suffers from some similar issues. I recommend not lingering in the big cities too long, as the truly good stuff is in the countryside. My apologies to Filipinos who are clearly proud of their food, but… the cuisine doesn’t always appeal to foreign taste buds. It seems to be a love-it-or-hate-it thing among travellers and expats. From my point of view, many dishes do get smothered with too much salt, too much sugar, or too much fat. American-inspired fast food is also ubiquitous in the cities which makes healthier options more difficult to find at times. There is, in fact, some great food in the Philippines if you look around, or if you ask locals what’s best. It’s also helpful to consult travel guides or Tripadvisor for the best dishes or restaurants. But it’s a bit different from a country like Thailand where a delicious Pad Thai is only ever a street corner away. Some travellers don’t really take to the Filipino fare but keep your nose peeled and you can certainly eat well. For some inspiration, check out these 30 must-try foods in the Philippines at bkpk.me. I am ahead of a 2 months trip to these beautiful islands. My plan was to start in January but I read it is colder in the first months. In photos, it looks like it is always cloudy. Is it true? Is it also too cold to enjoy tropical-beach life? Thanks for anyone’s answer. Hey Laszlo, I wouldn’t worry about the weather too much. Jan/Feb is smack in the middle of the dry season with lots of sun. Most of the photos were actually taken around April/May. ‘Colder’ is relative, it’ll still often probably reach 30 degrees C.
How was it? What were your favorite parts? Hi Marek! I will be in Manila after Christmas, spend some time with Family, then have roughly 1 week to island hop as much as I can before hgeading back to Manila. Things I want to do are to swim with the whale sharks in Oslob or Donsol and island-hop through Palawan (Puerto Princesa and El Nido). Any recommendations of other sights to see around that are in that area? How much would a budget traveler spend to be “comfy,” and since I’m single, where’s the best places to meet or hang with other single travelers? Hey Tyler – sorry for the slow reply. Palawan is good for solo travelers as it’s the most popular bit, so there’s always some other travelers around. Personally I didn’t like the whale shark experience in Donsol so much… it was 20 boats chasing after 1 poor whale shark, and none of the boats observed the rules about keeping distance and not harassing the animals. 1 week is a perfect time to island hop around Palawan… maybe you can do that and have some amazing snorkeling around the islands. However, I wanted to ask if you (or anyone else reading this) recently have heard anything about the safety situation in the Philippines? We are particularly interested in visiting Palawan, Bohol and Cebu. We are from Sweden, and here there have been a few articles in the papers on how ISIS is targeting some areas in the Philippines and our government have even put Mindanao and the Sulu archipelago on the list of places Swedes should not visit att ALL. We really don’t want to miss out on the Philippines, but then theres the whole safety first thing… Do you know if the situation recently has worsened or do you think it is as safe as it sounds in your post? We promise not to hold you responsible for whatever you say haha, but I feel like you might have a pretty good idea of how the talk goes among backpackers right now and thought I at least should try asking. Firstly about Mindanao, the no-travel warnings are (sadly) nothing new. There have been rebel separatists there for 70+ years and there have been no-travel warnings for Mindanao for a long time (I remember as far back as 2011). Things have gotten more heated this year though so maybe it’s just best to avoid this region. I’d personally be much less worried about the rest of the country though. I saw some concerns about Palawan and Bohol a while ago but they’ve now disappeared from the UK and US travel advisories. The UK foreign office has still marked the very southern bit of Cebu as orange on their maps (a medium warning) but that is all. For what it’s worth, I’ll be travelling around the Philippines myself again in January. Thanks for the post.I will get all the information in the post what I need. I will plan a trip to the Philippines soon.Thanks for sharing. Omg I’m jealous Marek!!! I have only visited a few from your list! But I’m looking forward to explore my country more. Thanks for this helpful post about traveling Philippines. I want to hang out too! Tell me how. I’m basically new in town and all I know are the neighborhood working places. Good thing they’re fine! hi marek, heaps of great info here thanks so much! i’m spending some time in sogod bay and then want to travel on from there. i’m thinking of going to bohol, malapascua island and palawan. do you think 10 days is too short for these 3 places? Thanks for the post, Marek. It was very informative and helpful. I am from Norway, and it is not easy to find information about the Philippines here as there are not many Norwegians that has been there. My best friend and I are planning a trip to the Philippines early/mid June 2017. Do you know how the weather is at this time? We want to see beautiful white beaches with crystal clear water and beautiful nature. We also like to party (we are 23 years old) and we want to both stay at places where there are a lot of things happening and some places that are a litte more quite. Do you have a travel route you would recommend? Is it best to book flights from Norway to Manila and from Manila to Norway, or should we fly back home from another place? I saw someone wrote that they where planning to visit	– Palawan – Puerto Princesa, El Nido, Sabang, Bacuit, Coron. Would this route work for us as well? And in what way do you get to the different places? By flight or boat? If you are coming from Manila, there is a direct flight to Cebu, Palawan ( both Coron and Puerto Princesa). My suggestion is from Manila( you can party here in BGC) take a plane to Cebu. In Cebu go to Oslob first where you can swim with the gentle whale sharks, then go to Moalboal where you can swim with millions of sardines and dive with the threshre shark which is i guess gentle too haha and do canyoneering which is super fun. Then head to Bohol by boat. Then from bohol, fly to Puerto Princesa in Palawan, go to the underground river etc. Then take the shuttle(500pesos) to El Nido, spend 3 days island hoping there and go to Coron and island hoping and ship wrecks. Then fly to Boracay to party before heading to Manila to go home. If you have any questions, I’ll help as much as I can. Hi Wilbert, your suggested route is similar to what I wanted to do on my first trip this year, minus Bohol. My points of interest are Palawan, El Nido, Coron, Cebu and Boracay. Flying into Manila. Can you recommend how I should navigate through this and the suggested transportation from one point of interest to another (plane,boat, etc.)? Amazing blog with great info. Glad to find it. Keep it up dear. Scandinavian guesthouse opens in Davao City. Thanks for this post it helped me so much with my travels! Just a foreword for those heading to Oslob – swimming with the whale sharks where sightings are “guaranteed” is pretty sad to see. It’s become more or less a zoo, with those who benefit from the tourism feeding the whales to make them stay, which in turn interferes with their migration patterns. Also not mentioned here is to keep the weather in mind! If like me you are travelling around August, you may sadly want to give Palawan a miss as it’s too rainy, and head for Cebu and Bohol instead! Finally, homestays are an amazing way to experience Filipino life, as are lots of guesthouses as they are locally run. The highlight of my trip ended up being when I stayed on a farm near Baguio (happy house farm if anyone is interested! ), seeing how local people live and eating the BEST filipino food ever (it does exist, I promise). Also another quick tip – at Manila airport, cross the road from the expensive yellow metered taxis and you have the standard white metered taxis…. at half the price. Safe travels everyone! Great tips Katie, thanks for sharing (and sad to hear about the feeding of whale sharks). Does anyone know how the weather is on Palawan in mid to late October? Any info would be appreciated! Wow, this post inspire me a lot, I’m currently looking for a solo destination and I’m debating between Hawaii and Philippines can you guys help me out? Cebu and Bohol are beautiful at this time of year (especially Bohol) but you may want to give Palawan a miss. As most of its activities are water based, so many boat trips are cancelled and it’s a bit of a risk! As for my response above, head for Bohol over Palawan! Extremely helpful! Thank you so much. Can you give some advice please, I am a 55yr old single lady who will be travelling for 5 mths in December. Some of my countries will be in tour groups but when I hit the Philippines next March/April I would like to go it alone as there a certain things I would like to see as the Hanging Coffins and snorkelling with the whale sharks. I have 2.5 weeks there. Any recommendations for a single lady and is it safe? Hi Sue. Sounds like a fantastic adventure! It’s safe in the Philippines. In Manilla I would take just a bit more care at night (for instance, use taxis instead of local buses). But outside of the big city, it’s very safe, and it’s common for people to travel around solo. In addition to those great sights you’ve already mentioned you might enjoy going to Palawan and El Nido. It’s nice to take the boat tours from there to see the lagoons and islands. These day tours are in groups so that gives you something to do with other people in addition to exploring the area on your own. Such a wonderful blog for me to explore Philippines soon. Am planning for a solo trip say about 4 days 3 nights to Luzon. I would love to wish like the rice terrace near Banaue in Northern Luzon, Super Mario Esque hills at Bohol, Mount Mayon near Legasbi. Do you think the time is sufficient to visit all these places. Any good recommendation to stay in rice terraces? Most probably I will Clark airport in the evening and would it be advisable to have any tour guide to guide me to Northern Luzon. Hola Sherry. Realistically I’m not sure those things can be combined within 4 days. 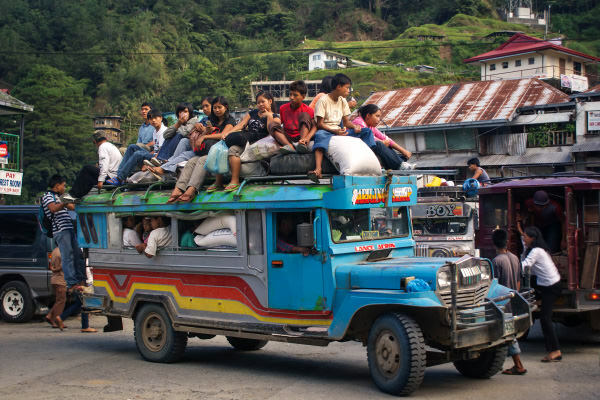 Getting to Banaue already takes an overnight bus from Manilla, then going all the way back etc. so that’s 2-3 days in itself. I’d probably pick 1 or 2 things in the Philippines that aren’t too far apart and focus on that. It’s difficult for me to offer specific accommodation or tour guide recommendations as I actually don’t remember where I stayed myself! Great post, Marek. I just arrived in Malaysia after six weeks in the Philippines. If it helps, I stayed at Banaue Home Stay in Banaue and Ramon’s Homestay in Batad. Both were good and both were inexpensive. 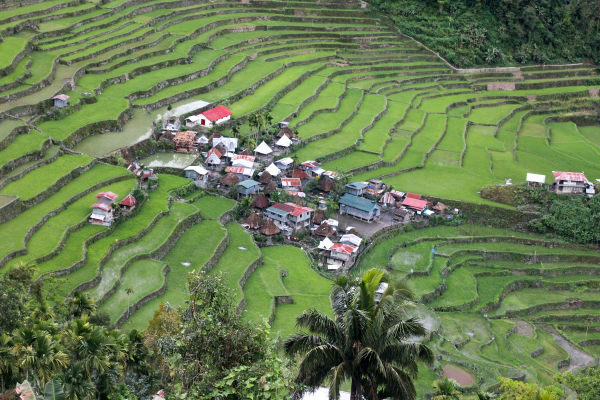 In my opinion, the rice terraces at Batad were the star of the show, but it is all beautiful. Hope you have a great trip! I am having a serious case of “wanderlust” reading this! My BF and I are packing up, leaving our jobs and starting our adventure on November 5th- flying into Kuala Lumpur (got insanely cheap flights!). We are desperate to go to the Philippines before we head off to Indonesia, Australia, NZ etc. We don’t have a time-scale. We could be in the Philippines anywhere between 3 and 6 weeks! 1)Is there a logical order to do places in? We want to be both time and cost-efficient. 2) How far in advance do we need to book internal flights? 3) How long do you think we need in each place? I’ve looked at places in depth and whilst Boracay looks amazing-I have no clue whether 2 days is plentiful or 5 days is waaay too long! It’s the same issue with other places around the Philippines! We are saving a LOT of money at the moment and are 28 and 33 so want to enjoy our time rather than feel we’re rushing and having to move around every day. Thanks for the reply Marek! Really good knowing in advance that we can be more flexible with our plans! Is there a month that you strongly suggest visiting it in? I originally had planned to fly from Kuala Lumpur to Philippines in November-but now, I’m reading a lot of people saying there’s still a chance of typhoons and it’s best to wait until Feb? Which countries do you think would be best to visit in November? Thanks Malek for the great insight. Thanks for mentioning Z Hostel, too as one of your recommended hostel while in Manila/Makati City. Great blog!!! Me and my friend are planning on travelling to the Philippines between end of June-early July this year, for 2 weeks. Definitely on our list is Palawan, El Nido, Coron, Sabang, Boracay. Do you think we would have time to squeeze in the rice terraces too? Or do you think it would all be too rushed? Also I know that the North especially can be very wet at that time of year, thoughts on this? Better to avoid ? Thanks! Which month did you go to Philippines? Hi! I’m from the Philippines and I feel really flattered reading about your thoughts! I agree with your insights about Manila and the cities. It’s bustling and so stressful in the city that’s why I myself go out on an escapade away from the city. There are other places I would want to share with you just in care you’d be visiting back here. You might want to try beach bumming in parts of Quezon Province like Borawan, Kwebang Lampas, Jomalig Island or in Marinduque, try going to Maniwaya Island and go island hopping in Palad Sandbar and Ugong Rock Formation (one of my favorites) .. Down south, you may also want to try going to Northern Samar and Potipot Island in Zambales 🙂 Boracay isn’t appealing for me anymore knowing that it has been so commercialized. Hope you’ll come back around and bump into you one of these days! Hello Marek! Great resource for travellers you have put together! I agree on your take on manila, it’s only really necessary to pass through on ingress and egress, and as I found out.. connecting flights to other domestic destinations like from palawan to bohol which was exhausting and stressful. On the upside, I was fortunate to have been recommended by a swiss couple a nice small family’s guestroom in pasay which is a hidden gem, and I would have preferred to have stayed had I known about it when I first arrived. It’s not open to the public or advertised, and unsure if it would be ok for them or you if I posted a link but anyone reading this tip could try looking on google maps near edsa taft and inquire if any room is available. I’m on my way out headed back home tomorrow and will bring my fiance next year to show her palawan with a nice place to in pasay to start our trip together now that I have beach and city cred as advance scout. Hi Marek, great post! Me and my sister are currently in Lombok soon going to the Philippines. We were wondering how long time you spent over there as we don’t have too much time left. We want to see nice beaches, local villages, local food, go diving, see the rice terrace and maybe go trekking somewhere if it’s possible. Where would you recommend us going? Hey Rebecca! I spent over a month in the Philippines but that was travelling all over the country. If your time is limited I’d maybe focus on Palawan first (nice beaches and nature) and go to north luzon for the rice terraces (lots of trekking trails around sagada, too). You’ll also get two different landscapes this way: flat tropical lands on Palawan, and tropical pine forests and mountains in north Luzon. Hi Marek and fellow travellers! What a fantastic blog/website, I have spent hours and hours (at work) reading it. 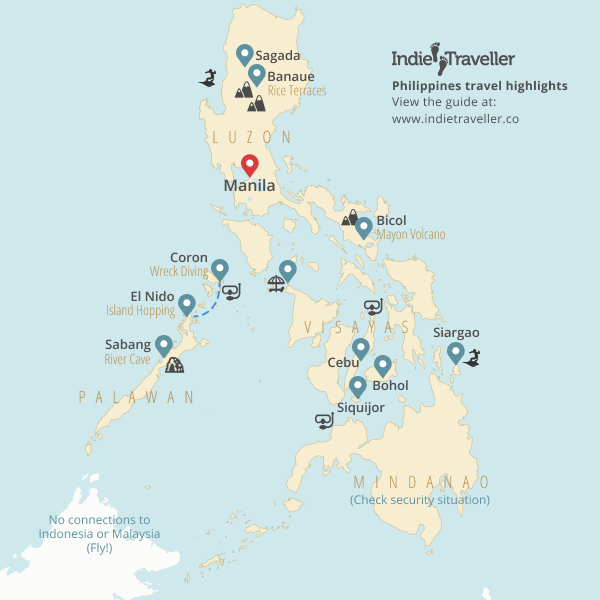 –	Palawan – Puerto Princesa, El Nido, Sabang, Bacuit, Coron. What would be the best possible route that generally offers the least expensive travel? We can either land in Manila, travel the Phillipines then onto Hanoi. Or start at Hanoi and go to the Philippines from Ho Chi Minh. Skip borcay since you will be traveling cebu try to visit Camotes Island.. camotes island is unspoiled, inexpensive and you can do lot more outdoor activities and its a lot more better than boracay. Its up north of cebu. Thanks Marek, for the great inside, I had a great trip. I went to Cebu and visited places like Tumalogfalls, Whale Shark,Moalmoal and Dumanjug. The weather was perfect, nice people, cheap but yet quite delicious food. I had a small problem though…the traffic, always a lot of cars. So small tip all travellers, just rent a mobet or motorbike, much much easier (ceburentalmotorbike.com) that is the place where I did it. I had a friend visit around 8 months ago and he said the beach had been completely over turned by bad weather and it wasn’t very nice? Thanks for visiting our country! 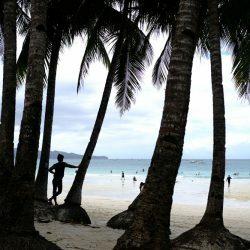 I’m sharing this post to my travel startup, Go See Philippines on Facebook http://facebook.com/goseephilippines.info. I agree with the Manila situation – I do suggest to get away from it as far as possible if your perception is we’re about the beaches and the lovely tropical climate. But reality is, if you totally want to immerse in a deeply culturally-rooted experience, stay in Manila for a while, go see some architecture, know about the people, attend some upcoming food scenes, festivals, bazaars, check out starting food trucks, walk around and jog in Makati or BGC, stroll around Luneta Park, befriend a vendor and buy a souvenir, chronicle everything you see. The problem I see with majority of foreign tourists is that they expect so much from Philippines as if it is the same country like any other Asian country (blame TV and media lol). In Palawan, it’s just El Nido that is being highlighted – can’t blame them. The place is beautiful. But we’re going there this week to debunk the myth and check out some offbeat paths & underrated experiences. But as Asian as it can be, Philippines is quite unexplainable. It’s not Vietnam or Singapore but we have our Spanish feats and if you’re looking into a more less touristy Asian country, since we are mostly overlooked, you’re in luck. Our team is on the hunt for the undiscoverable and the lesser known parts of Philippines. I, myself, is still foreign here after living 20+ years. We can’t wait to suggest you some places next time you visit! I agree with your post! I recently visited Siem Reap and how I wish Philippines have its own “PUB street” there’s not much tourists compared to Thailand or Cambodia. I guess it’s because the sites are far from each other, but boy they are worth it! They’re beautiful especially for those who love beaches. I agree with the food. Not a fan of it. You just missed snake massage in Philippines! It is the only country where you can get a massage by snakes! Fon ! Excellent post. The image of the man snorkeling with the whale shark is amazing. I have read somewhere that Philippines welcomes the biggest coach surfing community, and that’s a good opportunity for the backpackers. It’s amazing how you’ve spent so much of your travel here in our beautiful country. I am a Filipina, a Philippine citizen for 30+ yrs now but I have only been in Dalaguete mainly in Dive Spot Asia. I did scuba diving for the very first time; it was quite an experience. I must say you should consider going to Dalaguete or the beaches in the southern part of Cebu are superb, too. Although I only did scuba diving once but I must say that I have experienced the best scuba diving in Cebu Philippines. Great and informative post man. I’m heading to the Phillipines in a bit and am stoked for what’s in store. 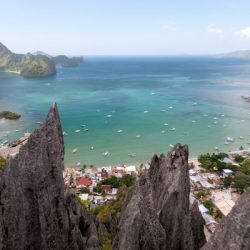 I’m thinking El Nido, Coron, Cebu, and Borocay…I don’t dive because I have an ear condition unfortunately, but am still looking forward to relaxing on the beaches. You think it’s best just to wait until you get there accomodations? I’ve looked at some hostels and AirBNB’s, but I feel like I’d be able to find it cheaper there. In what order did you visit the above? I love to travel in the Philippines! Here’s my favorite place to stay in Manila in between trips…http://lemurianguesthouse.blogspot.com/ . I just got back from the Philippines and loved it! Hi Marek, I’m from the UK and it’s great reading all your posts and advice. The information is very useful and interesting. I’m going travelling in April (bought my ticket to Thailand and handed in my notice 😮 !) I’m definitely going round Thailand etc, but I really want to go to the Philippines as well because it is less travelled, and just looks so interesting! How did you get from Manila to Palawan? Did you fly from Manila, and then took a bus around Palawan? I think from researching the main areas I want to go to are Sabang, El Nido and Coron! Also, from your experience of the whole of SE Asia, where is the best place and cheapest to get your scuba diving certificate? Any advice would be much appreciated, thanks so much! Hi Sam. I flew from Manila to Puerto Princesa, then bused it to Sabang and El Nido, boat to Coron, and then flight back to Manila. Taking boats between Manila and Palawan is highly impractical (I forgot the exact details but something to the effect of 30+ hours on a freighter ship that goes once a week… i.e. no one really does this). 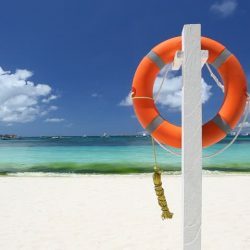 You can get scuba certified in a lot of places for a good price, including the Philippines, but it’s worth having a look at Koh Tao in Thailand. It has a huge concentration of dive centers with great facilities and some of the lowest prices around. A bit more info here: https://www.indietraveller.co/learning-to-scuba-dive/ Best of luck on your trip and have fun! Thank you for getting back to me, your experience is so helpful! I’ve read your diving blog and decided I’m definitely going to go to Koh Tao, it looks great! Just to confirm, did you get a bus back to Puerto Princesa, or get a flight from Coron? I’ve had a look and P.P looks like the only airport on Palawan. I just wish April would hurry up haha! I flew directly from Coron. There’s a very small airport there with regular flights to Manila. This is awesome, thank you! I have just booked my flight to Philippines and I can’t wait! I’m looking fwd to some diving; I would love to see whale sharks but in Donsol as in Oslob I read because they feed them, they don’t follow their natural migration and affects their health because they are not ingesting their “normal” nutrients. Actually your map is quite similar to mine, I just need to plan the routes because there will be lot of transport involved as per what i read. Maybe you can advise me regarding the backpacking and night/party scene: I have been travelling past yearin Indonesia and Thailand, besides Boracay, is there any other place for backpacking you can recommend with a chill but nice night life? similar to Koh Tao or Gili T. We don’t need clubs or crazy parties but places where we can meet up wit other backpackers and have a beer, music etc. PS- are you Dutch?! I live in The Hague! As far as I know the government made rules against scuba diving with whale sharks (at least in Donsol) and only allows snorkeling/swimming with them. Sounds like they’re not being very environmentally concious though which is really unfortunate. There isn’t a place *quite* like Koh Tao or Gili T in the Philippines, but El Nido on Palawan has a similar vibe. There’s a nice little bar scene and a bunch of places on the beach with torches and hammocks where you can have a beer at night. It’s not quite as buzzing as Koh Tao or Gili T, but El Nido is probably the closest you’ll find and I definitely recommended it! Snorkel with the whale sharks will be sufficient, but I would like to do some nice diving there! Thanks for the tip around El Nido, I actually didn’t know if it was worth to stay there or just visit for a day trip, so this definitely helps! I have the feeling Philippines is not as common for backpacking as Thailand or other Asian countries; this is why i asked for something similar to Koh Tao. Hi Kate! Thanks , we were looking at Puerto Galera but we have not many days and many people told us the was a bit sexual tourist area ( i have no idea, this isnwhat we were told). 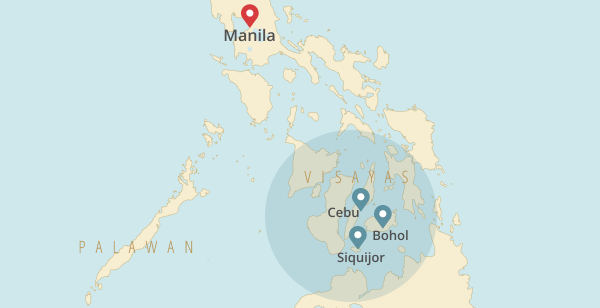 My route is Manila -Legazpi/Donsol-Boracay-Cebu/Bohol-Puerto Princesa-El Nido. Im there for 23 days so managed to plan and stay 3/4 days in each place… cant wait! Hi, thanks for the great write up about the Philippines. Just a little correction: It’s spelled Boracay NOT Borocay, and Manila NOT Manilla. As for other sites to see: Might I suggest Mt. Kanlaon (Negros Island) for mountain/volcano climbing, Caramoan (Camarines Sur) and Calaguas (Camarines Norte) for some isolated beaches, Siargao for surfing. There are so many places to see but I think you’ve listed all the major ones! Thanks for sharing those suggestions! You’re right. It’s usually the intensity that turns foreigners off. I think it’s because most of our dishes are meant to be eaten with heaps and heaps of rice which most visitors aren’t accustomed to. Correction! It’s BORACAY not BOROCAY, The BORACAY beach of the Philippines was voted recently by international travel website as the ‘BEST BEACH in the WORLD”,beat those beaches of Thailand,Indonesia,Greece,Mexico etc.. Anyways, the Philippines has unique beauty in all asian countries,Philippines was blessed with numerous natural wonders & beauties,that you cannot find in other countries.Mabuhay Philippines! Thanks for letting me know! Sometimes it’s hard for me to remember the correct spelling. I’ve corrected it now. You should go to Coron Palawan. Typing this comment gives me goosebumps. I will never forget the feeling. The best diving site id ever been. A pretty good list you have here. I’m from The Philippines and you traveled many places here than I am. I would love to swim with that whale shark someday. I like this post about our country. Thank you. Hi Marek. Thanks for your post about our country. Oslob, Cebu is a sure place if you want to swim with the whale sharks. The fishermen there feed the whale sharks by throwing krill in the water. My whale shark and other Oslob experience is detailed here: http://stunninglyschoonhead.wordpress.com/2013/12/30/oslob-cebu-the-rising-tourist-hub/. Take note, however, that whale shark feeding is highly discouraged by environmentalists for it distracts the natural ability to feed. Thanks for sharing that great tip. In Donsol I believe they don’t feed them, though my guide admitted to me that less and less whale sharks were coming there probably because of the tourism. In my case we had a dozen boats chasing a single shark which must have been really stressful for that poor shark. Hey Marek! Thanks for your post. I am just curious how much did it cost for the duration of your backpacking in the Philippines? I am going backpacking for three weeks this summer in July and just trying to figure our some budgeting. Anything would be helpful! Heya. A lot depends on your travel style. I unfortunately didn’t keep detailed records so I can’t be too specific, though I spent roughly $25-30/day in the Philippines. That was travelling as a low-budget backpacker, though not always going for the ultimate cheapest options (E.g. not always having street food but having sit down meals as well). It’s possible to travel for less if you are thrifty. Fellow travel bloggers over at eTramping for example travelled there for $15/day (though I think that figure did not include flights) http://etramping.com/how-much-costs-travel-philippines-week/ This is an extreme example of travelling on a budget however and is harder to achieve as their post explains. Much depends on where you go. The main cities of Manila and Cebu, and Boracay Island, are more expensive than average. For example a dorm bed in Manila will easily cost $10-$13, whereas elsewhere in the countryside (for example on Bohol) you can still find them for $5-6 (or get a private room for that money). I’d say $25 a day travelling as backpacker is probably a good guideline. Hope this helps a little. Good luck on your trip! Thanks Marek! Great overview. Planning to spent some time in the Philippines next spring. Hopefully before monsoon season in June ha ha. Planning to leave India in March and either fly to the South (Indonesia maybe) and then moving North. Or possibly Flying to BKK from India and doing the big 4 before moving south. What advice would you have? 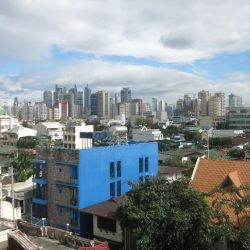 Cheapest flights in/out of Philippines?? Hi Brandon, thanks! Try Cebu Airlines, Zest Airlines, and Philippines Airlines for cheap flights (they’re not always in flight search engines so it’s good to search on their sites directly). AirAsia also flies to Clark Airport (budget airport near Manilla) from Singapore and Bangkok if I recall correctly. My plan was originally to go to Indonesia / Malaysia (Sabah) and work my way up, but it turned out there are very few ferries between these countries. For instance it’s not possible to take a boat from Borneo to Palawan, which is unfortunate as on the map it seems like they’d connect nicely. It’s probably possible to do it some other way, but flying might be the easiest option (it’s what I ended up doing anyway). Thanks Marek – huge help with the airlines options as well as the lack of ferries! Speaking of Malaysia – worth the effort? If you could only do 1 area which would you chose? Might not be the best to answer that one as in main Malaysia I only spent time in Kuala Lumpur. On Sabah I went diving at Palau Sipadan which is incredible, and had a nice jungle tour near Sadakan which lets you see a lot of wildlife (birds, crocs, monkeys). But Sabah is also very developed with higher prices than elsewhere in region, and a lot of the landscape there has been ruined by palm oil plantations. I thought it was a bit of a mixed bag (but you may have a different experience :).